So I have recently bought a gtx970g1 and loving being able to max plenty of games without any issue but after I installed titanfall and set my settings to ultra I heard my card coil whining in the menu, now at first I was confused and shocked because I have tested many games on ultra including GTA 5, Far Cry 4, Arma 3, War Thunder and even some bench marking tools such as the bioshock infinite tool and that demanding graphics card program flex and not even a hum from my card but titanfall at 1080p ultra was making my card hum loudly and im just wondering if anyone knows why this is happening and should I take my gtx970 back to the store to get it replaced??? Thanks. The GTX 970 is perhaps one of the more successful cards in Nvidia’s history. Hitting all three crucial metrics by which GPUs are judged. Performance, price and power efficiency. However it seems that even a card like the GTX 970 is not without its Flaws. PCPer.com has just recently drawn attention to an issue that many GTX 970 users have been reporting. The issue is excessive coil whine, a loud buzzing noise which emanates from the graphics card. According to PCPer.com several users directly contacted them asking for help reaching out to Nvidia and the AIBs. There are several forum posts with users complaining about this issue popping up all over the web. As well as a very large number of youtube videos. The number of videos is worrying because the card has been in the market for less than two months. Perhaps the issue is exacerbated even further by the popularity of the GTX 970. EVGA, Gigabyte and MSI all have users who have been affected by this issue. 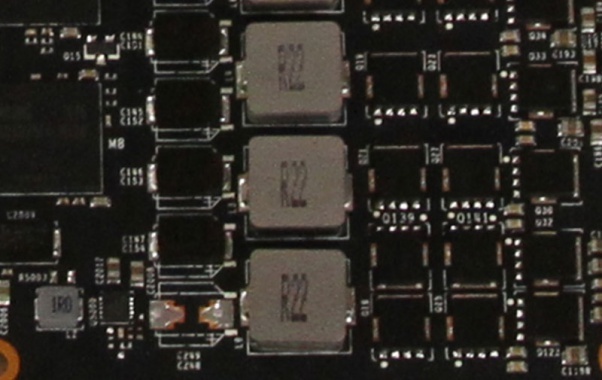 The R22 inductors are suspected to be responsible for the issue, at least partially. Your power supply also plays a huge role in coil whine. Simply installing the same card in a different system with a different power supply can sometimes resolve the issue. If you’re having coil whine issues with your GTX 970 please let us know. If the noise is excessive you may attempt to RMA your card for a replacement. A more conservative approach would be trying to limit your framerates. If you’re using a 60Hz monitor make sure to maintain a 60FPS frame limit. You can achieve this via software like MSI Afterburner or if the game natively offers this option.